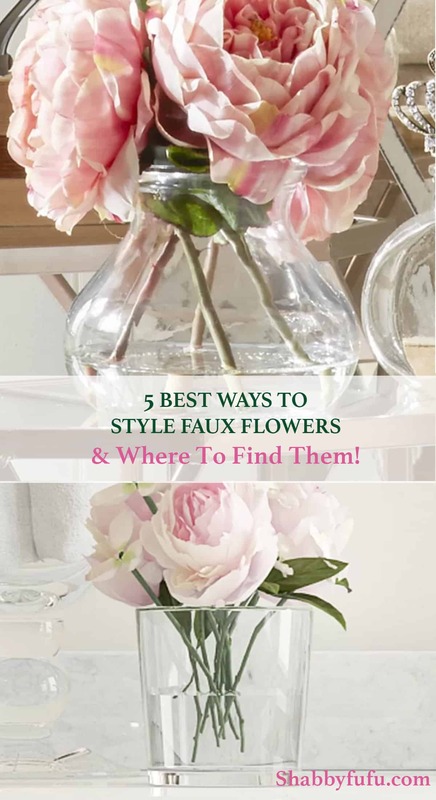 Faux flowers are a great low maintenance decor piece to brighten your home and add pops of color on a budget. For those of you who can’t seem to keep indoor plants alive, or who suffer from pollen allergies, fake flowers are a great alternative. You don’t need many flowers to fill a vase, and they will last you a lifetime! 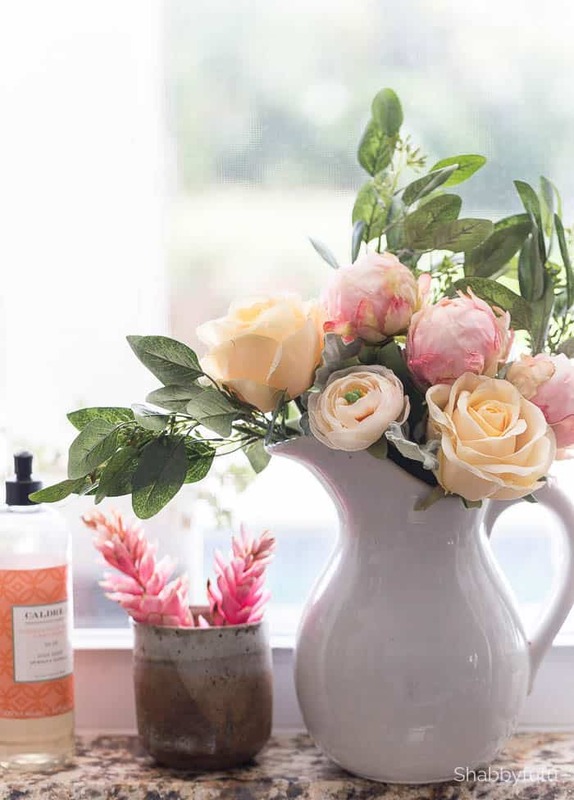 Instead of just throwing flowers into a regular vase, consider changing things up to create a new look. Orchids are a classic yet elegant favorite. Add a sizeable faux orchid to your vase and place it anywhere in your home. Orchids make great copycat flower choices as they are difficult to differentiate. You could be right next to it and not even know the difference! This is why orchids are one of my favorites! To keep your arrangement simple, consider choosing one or two colors and adding greenery to round out your display. 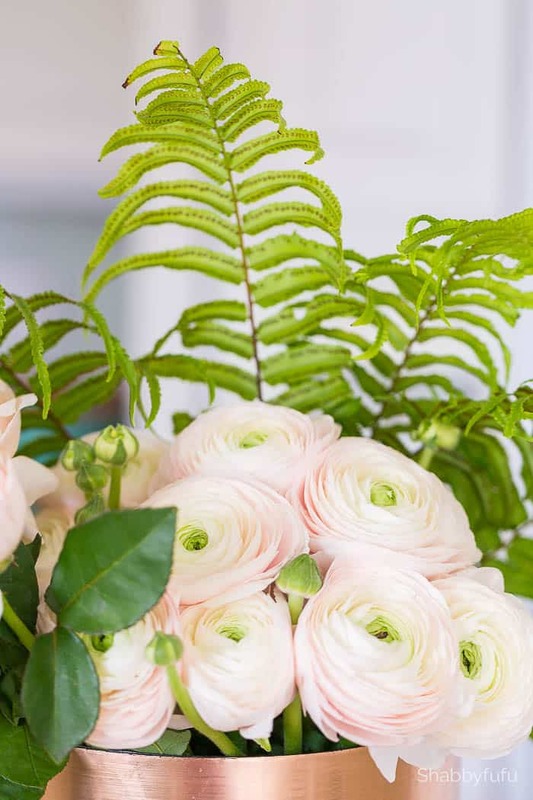 Make sure to keep your greenery simple, or it will overpower your vase and make it look messy. When it comes to filling a vase, remember that less is more. English Ivy, eucalyptus, and ferns are excellent choices for filling a vase. 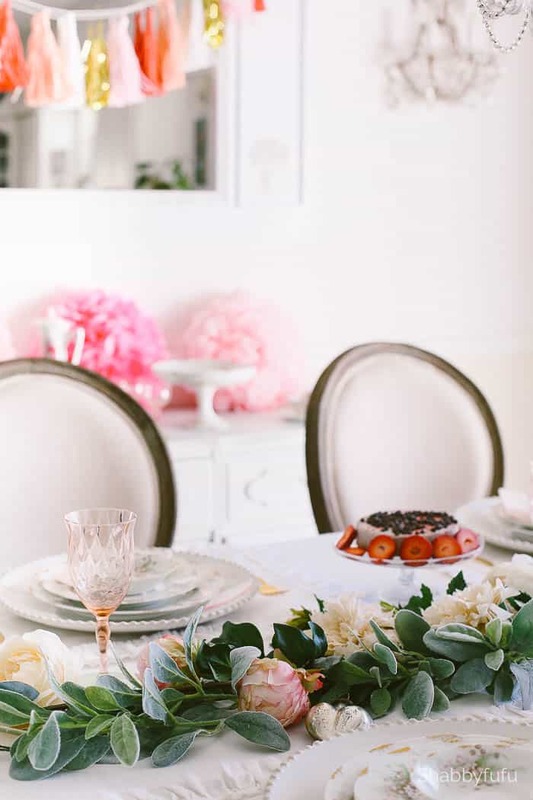 I love to use faux flowers as a table centerpiece and it saves money not having to buy weekly florals! Adding a pop of orange or pink to your windowsill display can brighten the room. Keep your vase simple in color and design, to avoid attracting too much attention to the vase. The focus should be on the flowers, not the vase. Since silk flowers can often be in direct sunlight (rotate to avoid fading), this is a great way to put those flowers on display! If you are having trouble filling out your vase, consider adding some eucalyptus. Step away from the boring vases, and find something unique. 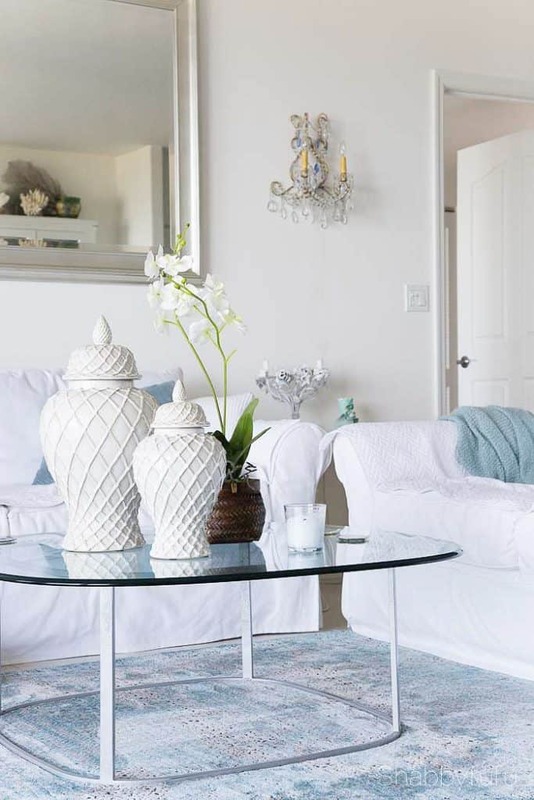 A unique colored or shaped vase can add dimension to your room and add some color to an otherwise dull space. The best place to find low-cost vases is at thrift stores! You may not have many options regarding selection, but you can usually find some pretty unique vases here for only a few dollars. You can even upcycle them for just a few dollars to make them stand out. 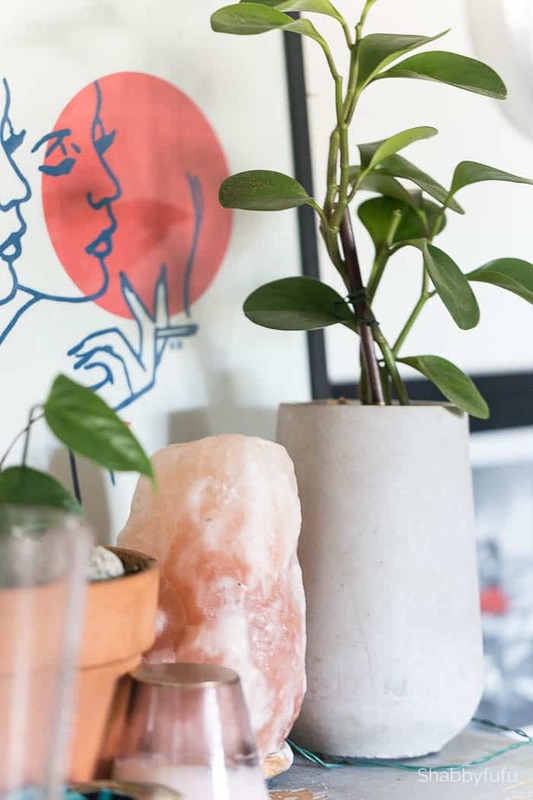 These artificial gems are the perfect way to decorate your home on a small budget. 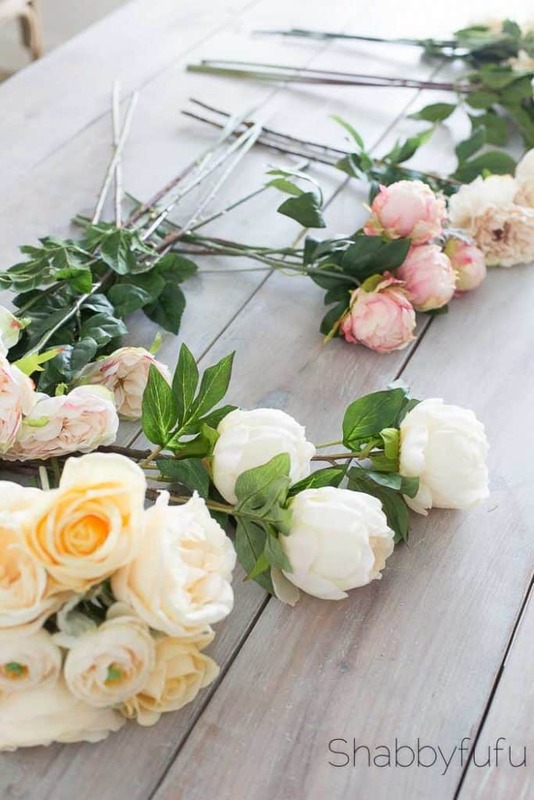 With so many creative ways to style your silk flowers, you can change up the look of your home in just minutes. If you are planning an event, today’s fakes flower can be so realistic that you have to touch to tell! 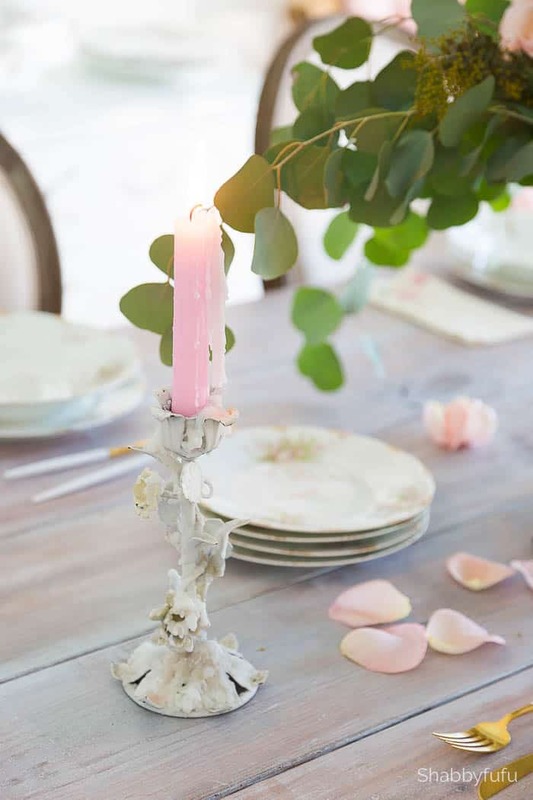 These five ways to design your faux flowers will not only help bring your rooms to life but also add some color and greenery without going crazy. You can change out your displays by season, or leave them up all year round depending on your preference. So beautiful Janet! We are traveling so much this year, that faux flowers are really the way to go for me. My next purchase is going to be the Eucalyptus! I have fallen in love with them. Your candlestick in the one photo is beautiful! So unique! Thanks for sharing! Hi Janet, First of all you really faux ed me! So many of these flowers look so real now if they could just put the fragrance in them. lol I love your wall sconce in the second pic. Is it vintage? If not where can I find one? It’s gorgeous. Have a beautiful week! Janet, thanks for the link. They have beautiful items.. So realistic looking. I never thought to add live greenery with faux flowers but that’s a great idea! I love all the ideas, designs, tips and so on that, you give in this post. Setting out China/fruits in that way, I would have never thought to do that, and yet it’s fabulous and decorative. Yesterday, my most excellent husband came home with a huge armful of the sweetest bunches of carnation buds in white and pink along with a nice large smelly lily stem! I really enjoy your light heart-ed posts, Mrs. Janet, so please allow me to encourage you to continue to make us all smile. Sounds like your husband is a real keeper! Thank you so much for your kind comment and you made ME smile!